Cider brand Aspall has announced a new partnership with horse-racing events group The Jockey Club that will run until September 2018. Aspall will receive exclusive brand activation rights as the official cider of the club. It will feature at 340 horse-racing fixtures around the country, with a potential live reach of two million customers and exposure to a UK TV audience of more than 20 million. The drinks company has said the partnership will be highlighted through "extensive brand marketing activity". 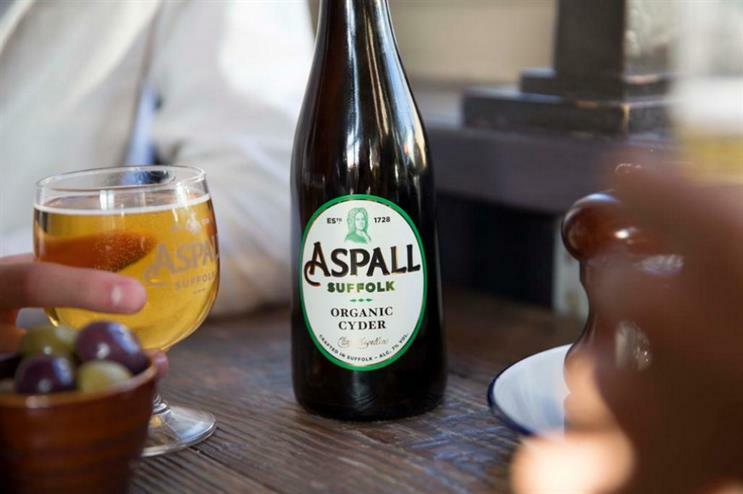 On top of the partnership, Aspall will also be named as the exclusive packaged cider across The Jockey Club’s racecourses with immediate effect. From September 2015 this will be extended to draught pouring rights, making it the sole cider available to the club’s customers. It is the first time Aspall has agreed a sponsorship deal with a sports group. The brand is currently involved in a partnership with the Royal Albert Hall, which began in 2011. Des Smith, Aspall’s managing director, said: "The new partnership with The Jockey Club is a really exciting opportunity for Aspall to associate our brand with a great British institution and to take our cider to new audiences across the UK. It’s a significant opportunity for us to reach people outside our heartlands of East Anglia and the South East." Simon Bazalgette, group chief executive of The Jockey Club, added: "We are delighted to be working with a brand that shares our British heritage and the partnership supports our goal to work with like-minded brands who are focussed on offering a premium experience to customers. "Investing all of our profits back into the sport, the support of our official partners is helping the long-term health and success of British racing."